Nanami Momozono is used to her father's less-than-stellar parenting skills, but is shocked to return home from school one day to find a note indicating he has abandoned her and is running from creditors. In true manga style, Nanami is immediately kicked out of her apartment and left with the weight of providing her own food and shelter on her slender teen shoulders. But opportunity comes at the most unexpected time and she is rewarded with a house sitting offer after rescuing a man from a stray dog. Unfortunately, Nanami has been tricked into accepting his job as a local deity! Now she's got all kinds of new responsibilities, two vocal and unhelpful spirits and an ex-familiar who's hotness is only balanced by his rudeness. What's a newly-made deity to do? Nanami is a likable heroine who isn't afraid to stand up for herself, while the fox-spirit Tomoe provides a sarcastic, snarky balance to Nanami's sweetness. The art is beautiful and the characters unique enough to draw in new readers. 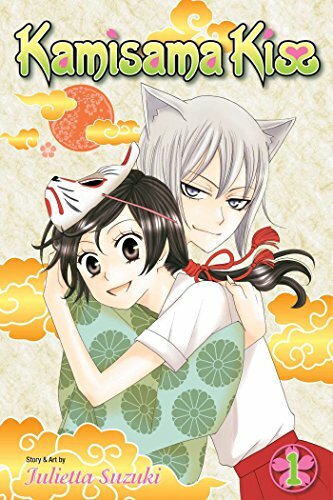 Kamisama Kiss, Volume 1 is highly entertaining and well-drawn.